General Atomics Building AMT I.S.M. 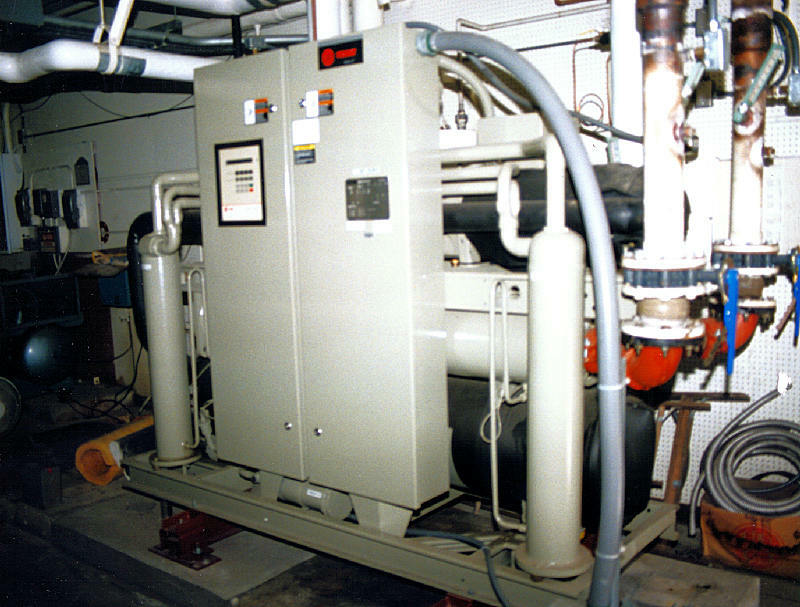 This central plant consists of two Smardt chillers with primary and secondary chilled water pumping systems. Biogen is a biotechnology company specializing in the discovery, development, and delivery of therapies for the treatment of neurodegenerative, hematologic, and autoimmune diseases. 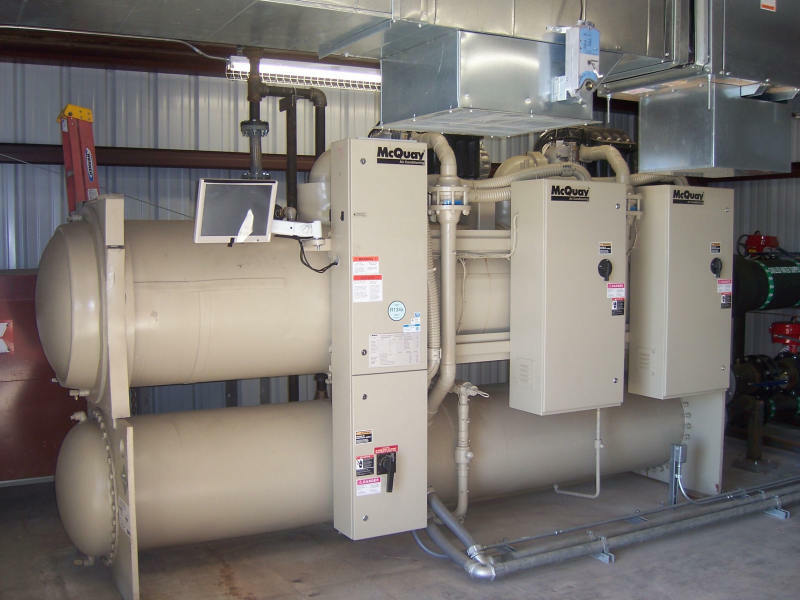 Our company remove a thermal ice storage systems serving their building and design a central water cooled chilled water system to meet the cooling needs for this facility. Three Trane Modular Climate Changers were engineered to provide air to the conditioned spaces. 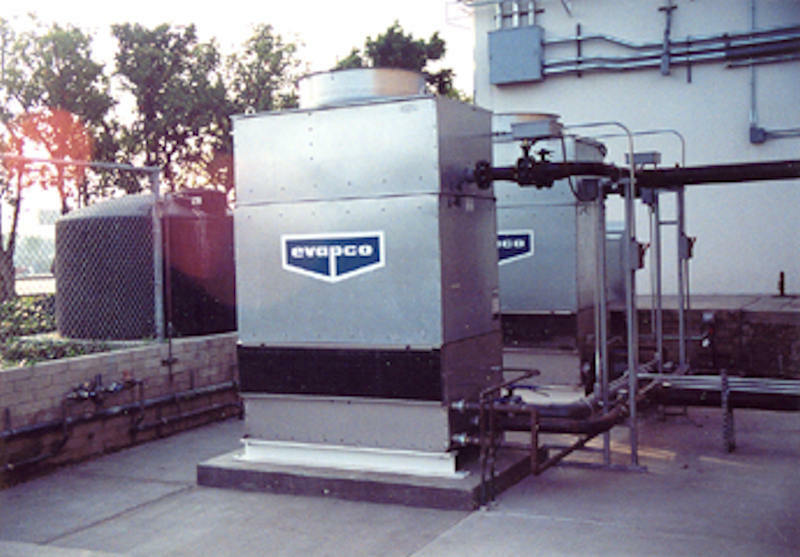 Climate changers included economizer systems to utilize cooler outdoor air when applicable. 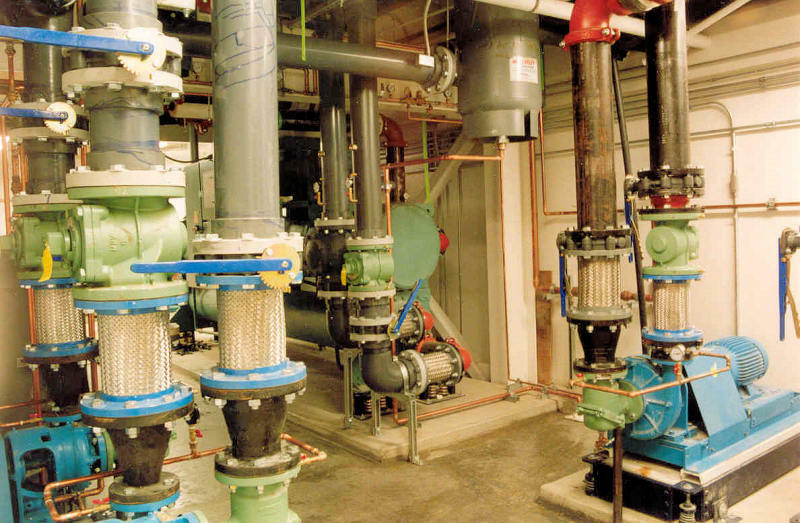 Direct Digital Control Systems were used to control the hot and chilled water systems. A.O. 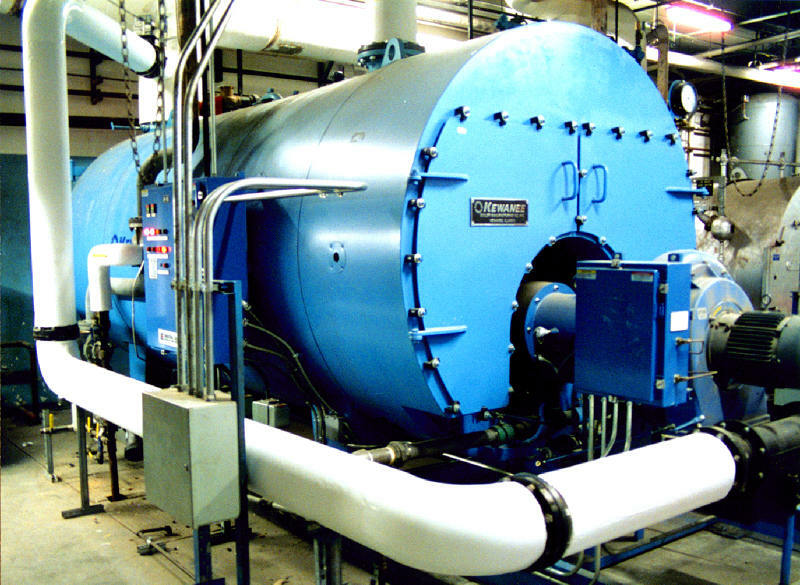 Smith gas fired boiler was engineered to provide domestic hot water to this facility. This facility is approximately 20,000 ft2 consisting of Administration offices, Production Laboratories and two Class 100,000 Cleanrooms. A.L.M. Consulting Engineers engineered a Direct Digital Control Building Automation System to control and monitor the chilled and hot water systems. The mechanical systems maintain office and laboratory temperatures between 70°F to 75°F. Several laboratories also maintain relative humidity below 50%. A.L.M. 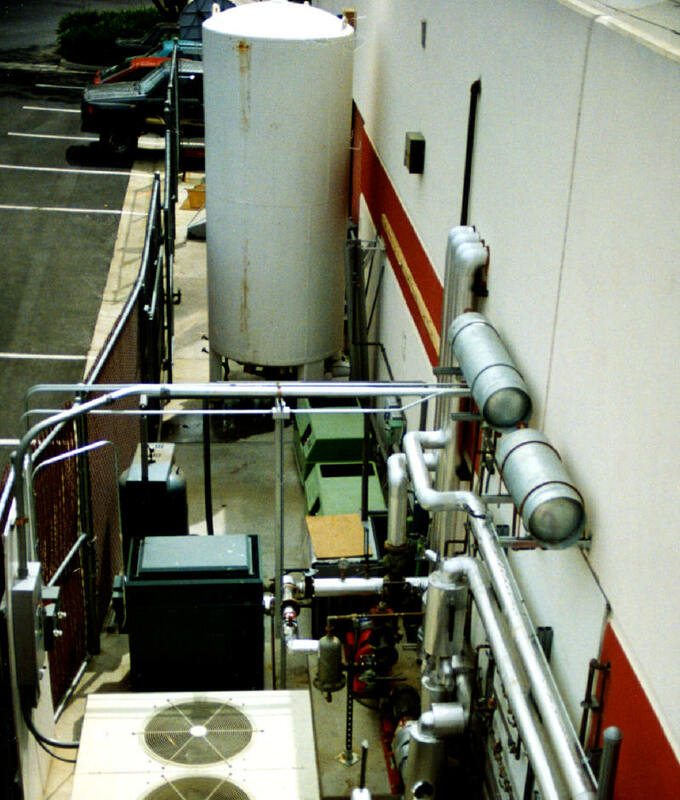 Consulting Engineers provided engineering services for their Laboratories which mechanically consisted of a cooling tower, cooling water pumps, bag filters, heat exchangers, deionized water storage tank, deionized water pump, air separator, make-up air units, exhaust systems, and heating and cooling units with hot gas by-pass systems. A.L.M. 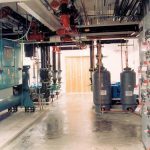 Consulting Engineers engineered a hot and chilled water system to heat and cool this facility. 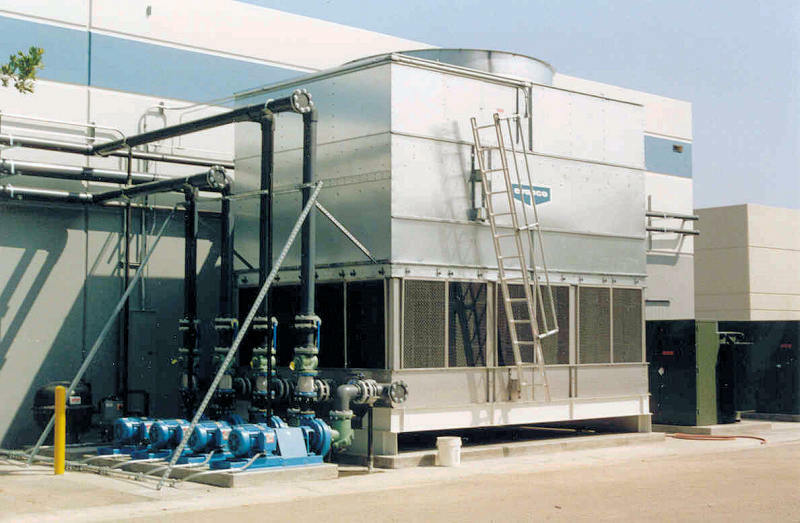 The chilled water system consists of two 90 ton water cooled chillers with two cooling towers. 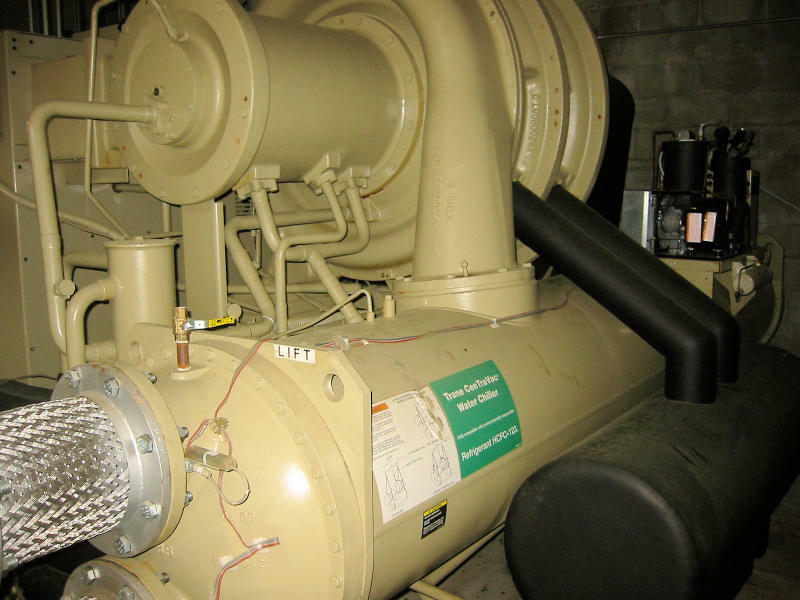 Variable speed frequency drives are installed on the cooling tower fan motors to utilize energy efficiency strategies. A.L.M. 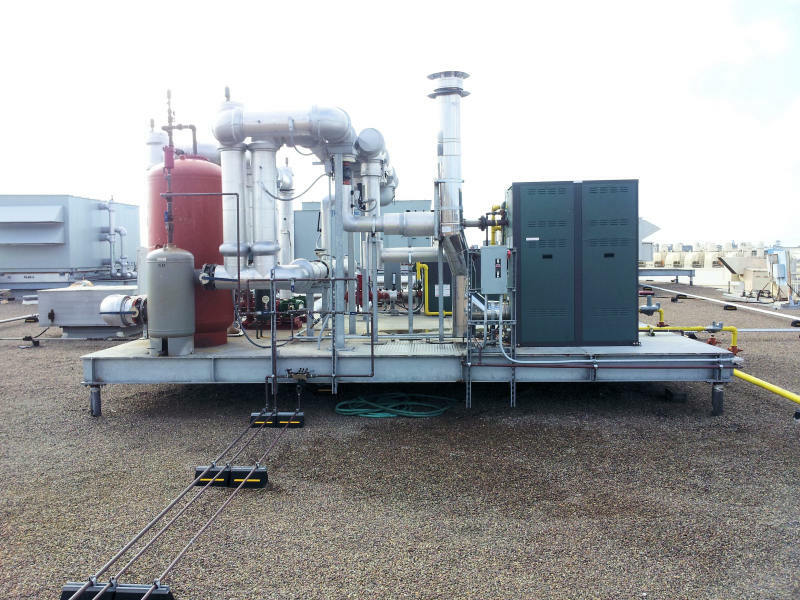 Engineering engineered a condenser water system for the existing central plant heating and cooling system. 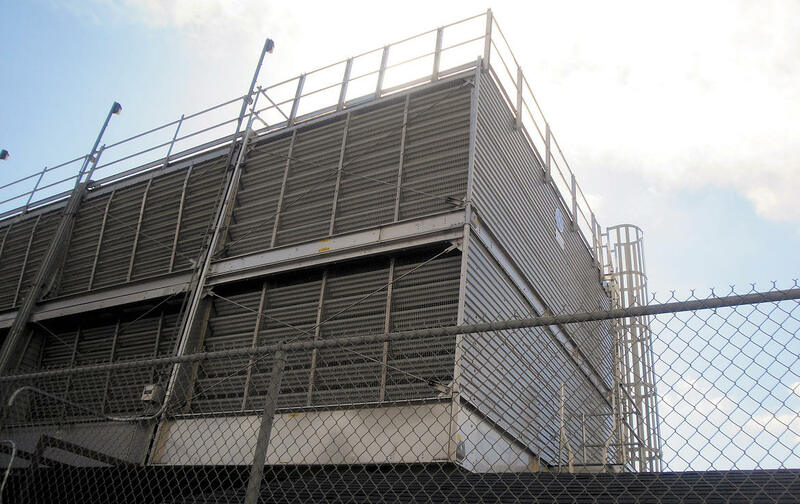 The new condenser water system consists of a 465 ton cooling tower, 1380 GPM condenser water pump, heat exchanger, solids separator, piping and controls. This school is 68,000 ft2 and consists of several buildings which include Classrooms, Offices, Cafeteria, Kitchen, Gymnasium and a Library. A.L.M. 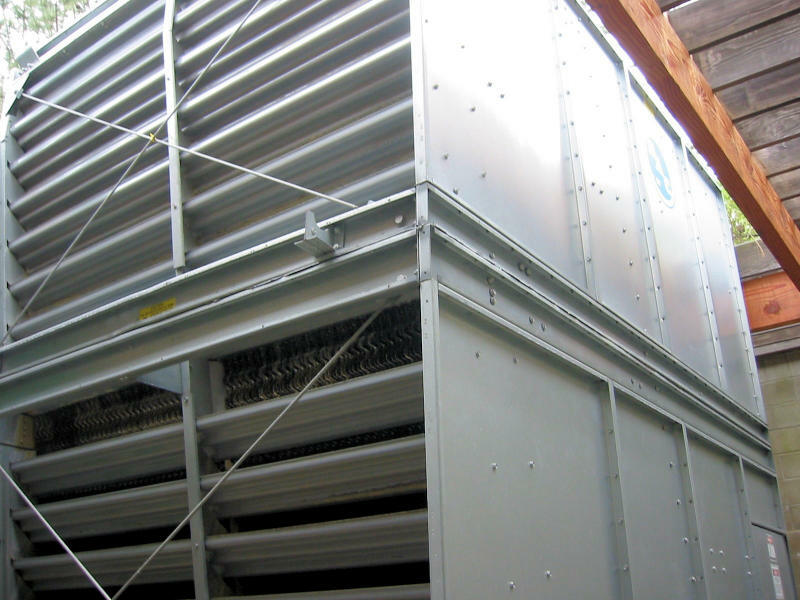 Consulting Engineers engineered a 115 ton water cooled chiller and a 900,000 B.T.U. 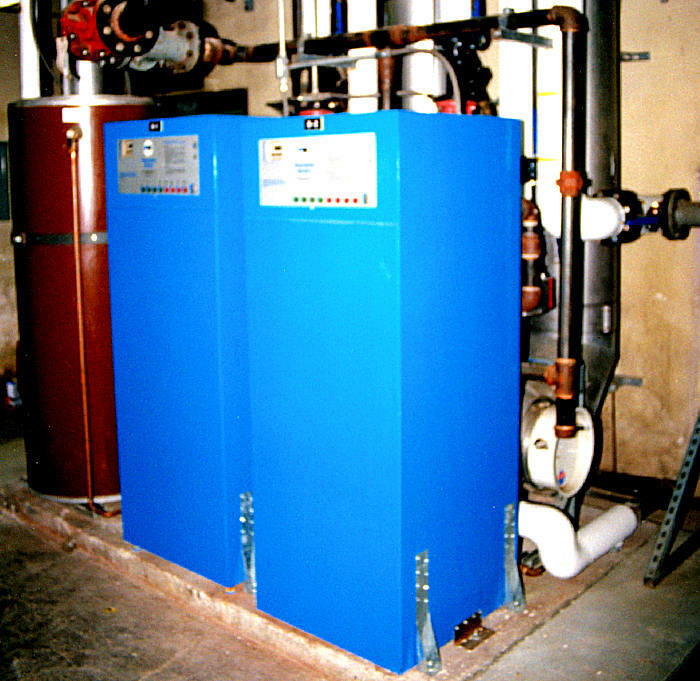 boiler system to heat and cool this school. This school is 44,000 ft2 and is occupied by 640 people. This single building consists of Classrooms, Offices, Cafeteria, Kitchen, Gymnasium, and a Library. A.L.M. 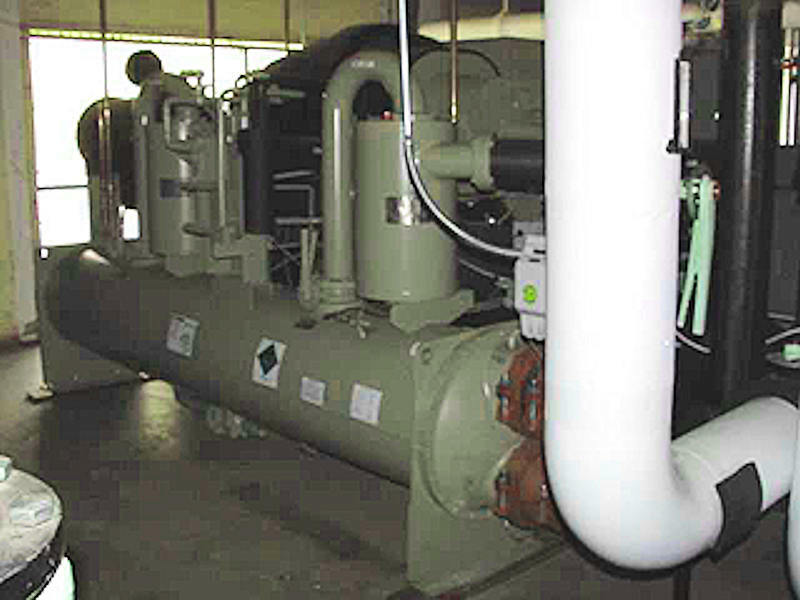 Consulting Engineers engineered a 40 ton water cooled chiller for this school. Chilled water is produced at night (or hours when the building is not in use) and stored in an underground storage tank. 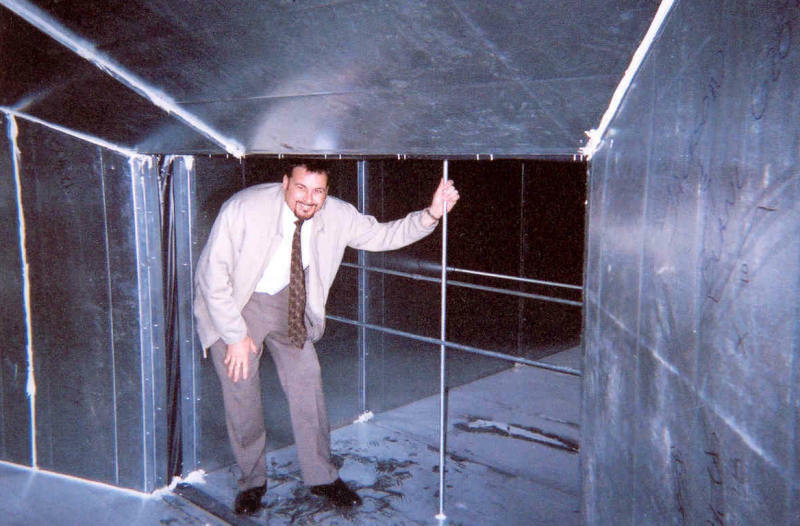 The chilled water from the chiller and the storage tank is then used to serve the chilled water coils in the air handler which cools the building when occupied. A.L.M. 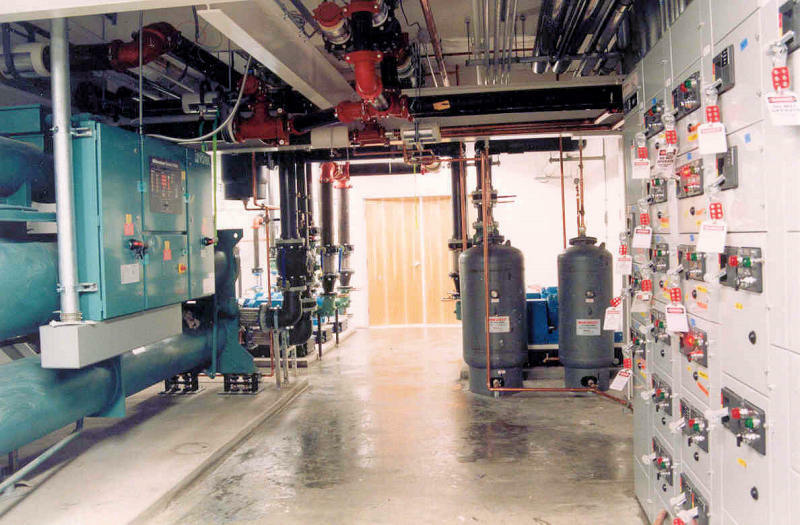 Consulting Engineers engineered a 70 ton chilled water system for this facility. 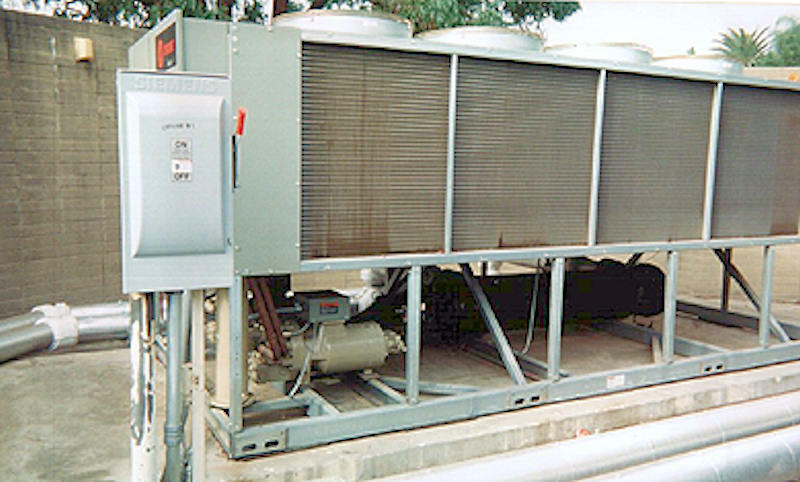 The chiller utilized a remote air cooled condenser. A.L.M. 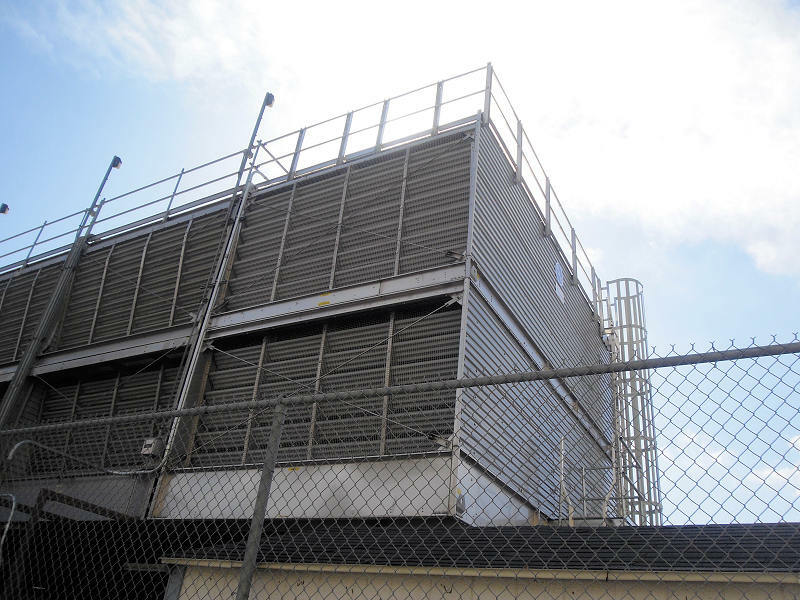 Consulting Engineers engineered a 125 ton and a 180 ton water cooled chiller system for this facility. 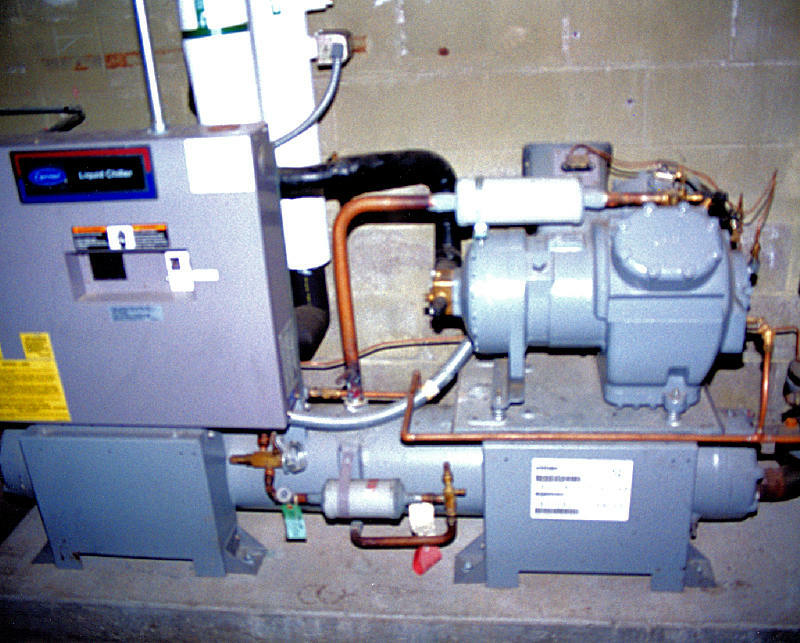 Primary chilled water variable speed pumps were utilized. The mechanical systems are controlled by Direct Digital Control Systems.